It is obligatory on the part of the Central Government to update the amount of compensation taking into consideration the substantial change in the money value and the impact it has caused in the cost of living, the Court said while disposing of the PIL. Delhi High Court has turned down the challenge against Section 129 of the Railways Act which confers power on the Central Government to make Rules to carry out the purposes of Chapter XIII of the Act, including fixing of upper limit of the compensation under Section 124/124A of the Act. Disposing of the Public Interest Litigation, the first bench of the High Court comprising of the Chief Justice G. Rohini and Justice Rajiv SahaiEndlaw directed the Government to consider the issue of updating the upper limit of compensation which is presently fixed as 4 Lakhs. Conferring of power upon the Central Government under Section 129 of the Act to determine the upper limit of compensation by way of Rules amounts to delegation of essential legislative function of the Parliament. In the absence of any provision in the Act laying down the standards for fixation of the limit upto which the compensation can be granted, the impugned Rules are liable to be declared null and void on the ground of excessive delegation. The very object of RCT Act, 1987 is defeated by limiting the compensation that can be granted by the Tribunal to Rs.4 Lacs. The upper limit of Rs.4 Lacs as compensation in case of a rail accident is not in parity with the compensation provided in case of accidental deaths or permanent disability by other means. The Court citing Section 128 of the Railways Act which says provides that the right of the claimant under Section 124 or Section 124A shall not affect the right of any such person to recover compensation payable under the Workman’s Compensation Act, 1923 or any other law for the time being in force, observed that the right of any person to claim compensation before the Claims Tribunal as indicated in Section 124/124A shall not affect the right of any such person to recover compensation payable under any other law for the time being in force. The bench also said that the intention of constitution of the Railway Claims Tribunal is to providean expeditious and efficacious remedy to the victims of accidents and untoward incidents. If the claimant chooses to claim higher compensation based on common law or any other statutory provisions as provided under Section 128 of the Act, he may do so by initiating proceedings before the appropriate forum, the court said. 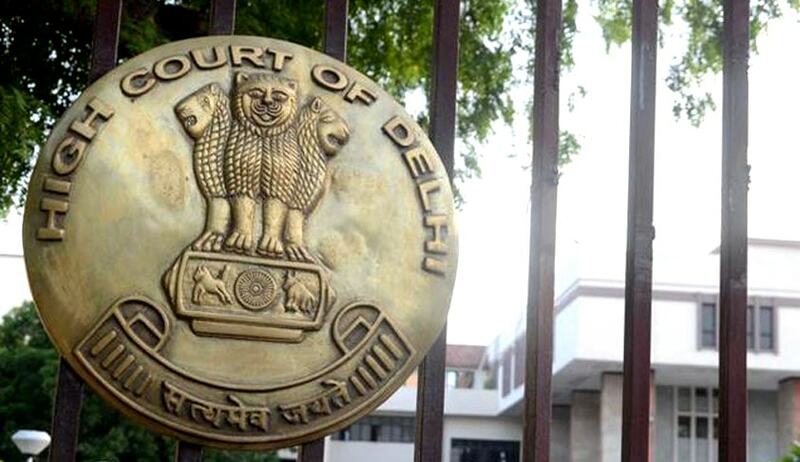 The challenge to Section 129 of the Act on the ground that the same has conferred on the Central Government excessive and unguided power, was also rejected by the Delhi High Court saying that it has been settled by Apex Court in Rathi Menon vs. Union of India, (2001) 3 SCC 714. The petitioner also contended that the upper limit of compensation of Rs. 4 lacs was fixed by the Central Government under the Compensation Rules long back in the year 1997 and thereafter the Central Government failed to revise the same by amending the Rules suitably. The court said that it is obligatory on the part of the Central Government to update the amount of compensation taking into consideration the substantial change in the money value and the impact it has caused in the cost of living. The court, disposing of the petition, directed the Government to consider the issue of updating the upper limit of compensation prescribed under Rules 3 & 4 of Compensation Rules.